The European Championship will begin tomorrow on Lake Śniardwy in northeastern Poland. 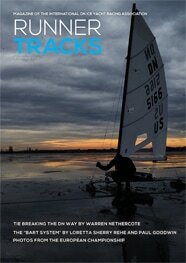 The regatta has been delayed because of problems finding suitable ice. A site was found in Estonia over the weekend but a snow storm forced a move to Poland. Opening ceremonies are this evening and racing begins tomorrow. North American sailor Chris Burger DN5166 is there and we’ll post any updates if he has time to send them. 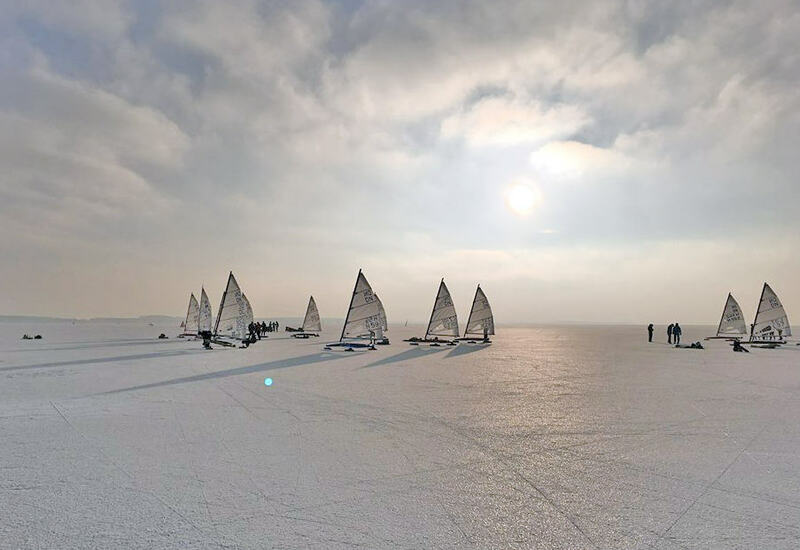 The organizers of this year’s iceboat European championship changed the place of the regatta at the last minute and the event was moved from Estonia to Poland to Lake Sniardwy. The regatta is scheduled for January 22-25. The organizers of the European Championship 2019 in the DN class – the Hungarian DN and IDNIRA Europe fleet – are fighting an unfavorable weather. In less than 24 hours after the election of Estonia and the Vaike Strait as the venue for the European Championships, on the night from Saturday to Sunday in the area of ​​Saarema, there was a weather break that brought heavy snowfalls from the Baltic coast. A thick layer of snow deposited on ice and drifts forming at the wind prevent the regatta from being played out. Continue reading.